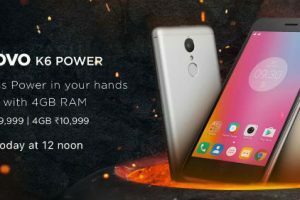 Lenovo has announced that half a million units of the K4 Notehave been sold since the device was launched in India back in January this year. Aside from this, the Chinese company has also sold 100,000 units of the ANT VR headset. The Lenovo K4 Note flaunts a 5.5-inch full HD display IPS LCD panel with a screen resolution of 401ppi and a layer of Corning Gorilla Glass to keep scratches at bay. It sports a premium metal design with a 9.1mm frame that makes it look good as well as sturdy. It can be personalised with a choice of replaceable wood back as well as leather covers. 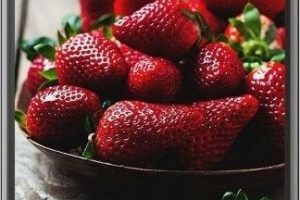 The phone utilises a 64-bit 1.3GHz octa-core MediaTek MT6753 processor, accompanied by 3GB of RAM, and 16GB of internal memory that can be further increased up to 128GB. The K4 Note runs Android 5.1 Lollipop layered with Vibe UI for an efficient user experience. For photography, the K4 Note packs a 13-megapixel primary snapper with a dual-LED flash. 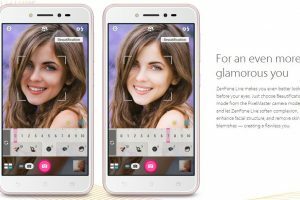 It also has a 5-megapixel front camera for selfies and video calling. The K4 Note brings dual Dolby Atmos-powered front-facing speakers along with a dedicated Wolfson audio chip for an immersive media experience. Another highlight of the device is its fingerprint sensor located on the rear panel. In terms of connectivity, the handset offers dual-SIM slots with 4G LTE support, Wi-Fi, Bluetooth 4.1, USB OTG and A-GPS. A 3,300mAh battery powers the entire package. TDD Band 40 and FDD Band 3 are both supported. It can be noted that only one SIM can run 4G at any time, with the other dropping to 3G. 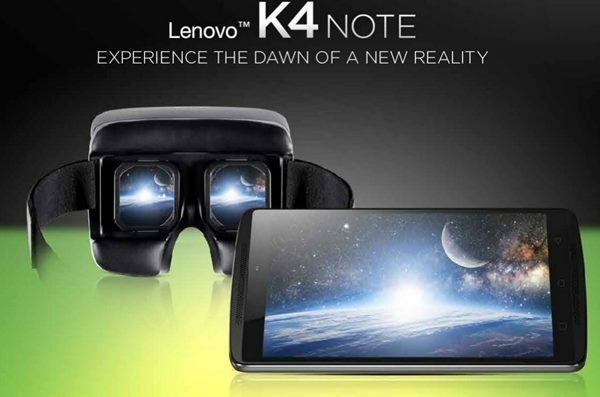 The Vibe K4 Note bundle with Ant VR virtual reality headset is priced at Rs. 13,299. The Gadget was initially available for sale on pre-registrations and later were available through general sale, i.e., without registrations from the month of February.